Based on the novel by Dr. Nicolas Bazan, UNA VIDA tells the intimate story of disheartened, grieving neuroscientist Dr. Alvaro Cruz after the death of his mother and the unique relationship he develops with the mesmerizing New Orleans street singer Una Vida as her health declines and her struggle with Alzheimer’s progresses. Bazan strives to find meaning in Una Vida’s fragmented recollections of tantalizing jazz lyrics and spellbinding vocals. Presented in partnership with artNOW, Portland Art Museum and the Alzheimer’s Association. Q&A with Dr. Nicolas Bazan to follow. Fellini’s first feature, an uproarious comedy skewering the popular notion of marital “bliss,” stars Brunella Bovo and Leopoldo Trieste as newlyweds in Rome with vastly differing agendas. 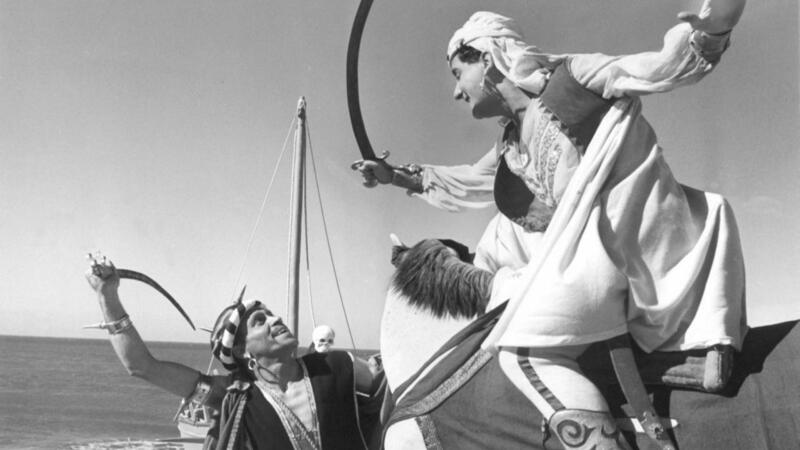 While Ivan (Trieste) has a rigid schedule set (including a rendezvous with the Pope, of all people) Wanda (Bovo) is single-minded in her mission to meet the “White Sheik” (Alberto Sordi), the hero of a popular cartoon. While it’s clear that the couple couldn’t be more different, just how (and if) they will manage to hold their marriage together is the real question—played out here with a style and a smirk that’s all Fellini. Sandra Cisneros, author of several novels including THE HOUSE ON MANGO STREET, CARAMELO, LOOSE WOMAN, HAVE YOU SEEN MARIE?, and most recently, A HOUSE OF MY OWN, will introduce the film and participate in a post-film discussion with Olga Sanchez, former artistic director of Milagro Theatre. Screens as part of Wordstock 2015, produced by Literary Arts and presented at the Portland Art Museum November 7. The vibrancy of New Orleans’ cultural life in the late 1970s shines through in Blank’s characteristically freewheeling, fun, yet incisive documentary portrait of the city. 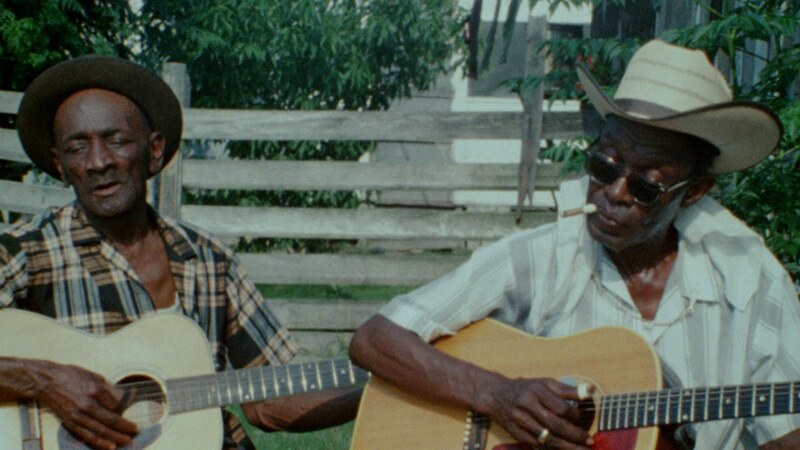 Featuring interviews and performance footage with prominent New Orleanian musicians including Professor Longhair, Irma Thomas, the Neville Brothers, Kid Thomas Valentine, and Allen Toussaint among others, Blank weaves a tapestry up-anddown the boulevards and docks of a pre-Katrina New Orleans through a focus on Mardi Gras and St. Patricks’ Day celebrations, underscoring the profound joy at the heart of this most American of cities. Wendell Pierce (THE WIRE, TREME), author of the new memoir THE WIND IN THE REEDS, will introduce the film and participate in a post-film discussion with Portland film critic and programmer David Walker. Screens as part of Wordstock 2015, produced by Literary Arts, which takes place at the Portland Art Museum today. Join us as we screen and celebrate the work of year’s School of Film Certificate Program graduates and acknowledge the faculty, visiting artists, staff, family and friends who have supported them. The program includes Brian Jepperson’s I DREAM THEREFORE I AM, Devin Weller-White’s THE STORIES THEY LEAVE, Zsuzsanna Mangu’s AROUND THE POLE, Dave Hagerty’s DELIKUN PEEP, Conrad Caczor’s WE’RE FROM HERE and Raj Patel’s SLICE OF LIFE. These final projects showcase the skill and voice that each has developed over the years through class assignments, visiting artist sessions, faculty mentorships and extracurricular pursuits. Join us at 6:30 for reception honoring the filmmakers in the Andrée Stevens Room. Bertuccelli’s observational documentary follows a group of newly arrived immigrant teens as they begin their studies at La Grange-aux-Belles secondary school in Paris and prepare for entry into the French educational system. At the center of this dramatic transition is teacher Brigitte Cervoni, a wise and patient woman charged with guiding a diverse class of 11- to 15-year-olds hailing from countries including Tunisia, Ireland, Senegal, China, Serbia and Brazil. Part psychologist and part surrogate mother, Cervoni helps her students cope with problems ranging from homesickness to emotional trauma while instilling in her students a sense of self-worth and mutual respect. As the teens adjust—and some begin to blossom—the results are illuminating, moving and exhilarating. The film is also screening as part of the Film Center’s Global Classroom program, which presents new international cinema for high-school students throughout the metro area. For schedule information and to arrange to bring a class to one of these school day screenings, please contact mia@ nwfilm.org. This annual juried survey (38th edition), formerly called the British Television Advertising Awards, never fails to deliver an entertaining mix of commercial creativity of the highest order. Drawn from submissions across the UK’s multimedia advertising platforms—from traditional broadcast and cinema to new online mediums—trademark British wit and gleeful innovation are apparent at every turn. Whether touching drama or high-tech dazzle, low-budget invention or mind-boggling production, this eclectic collection of prizewinners do have something in common: they are all remarkably short and delightfully inspired. Thanks to the British Arrows, London, for this creative crash course on the marriage of advertising and film, art and commerce. Jeff Preiss will be in attendance to introduce the film and discuss his work following the screening.